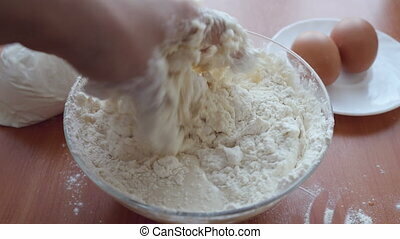 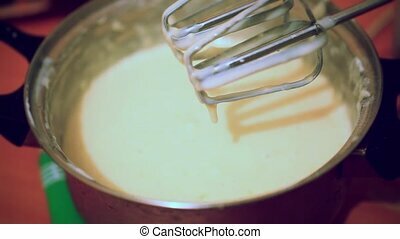 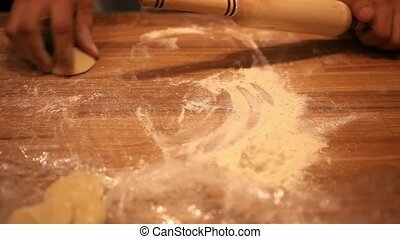 Making pastry dough for cake. 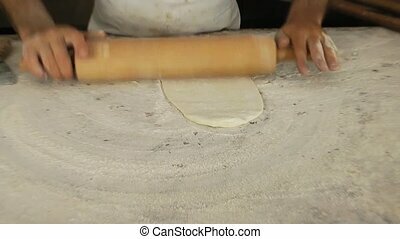 a baker rolling dough. 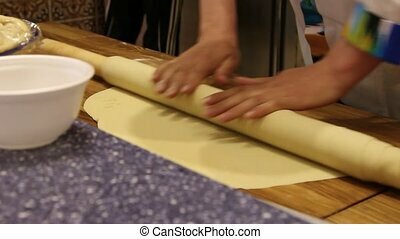 Making pastry dough for cake. 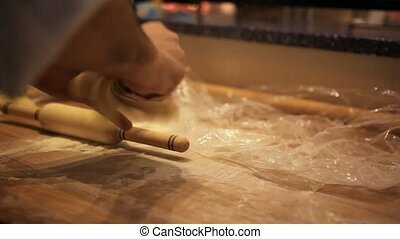 baker rolling dough. 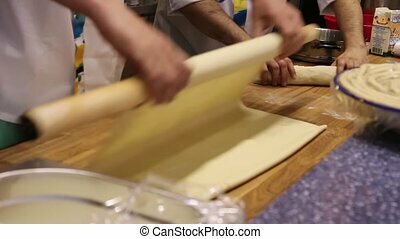 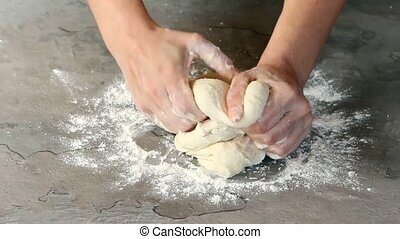 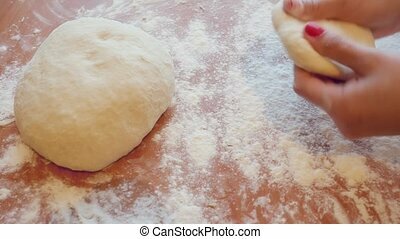 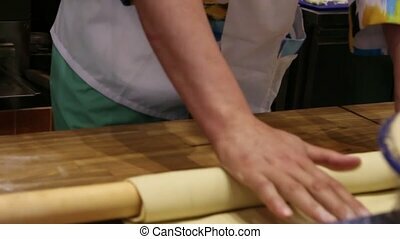 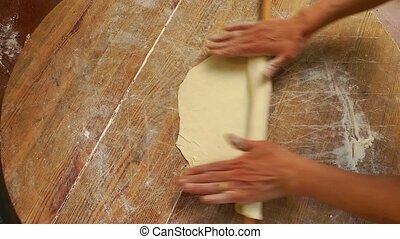 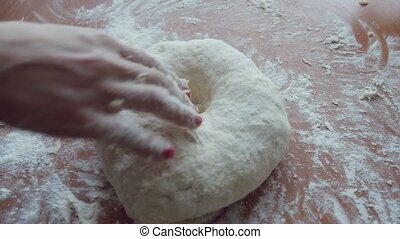 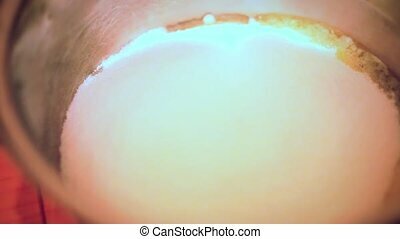 Chefs hands unrolling dough with rolling pin in kitchen. 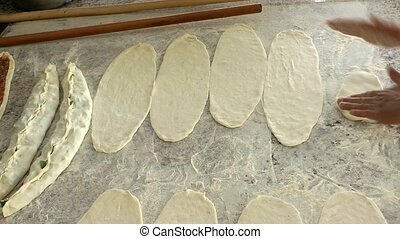 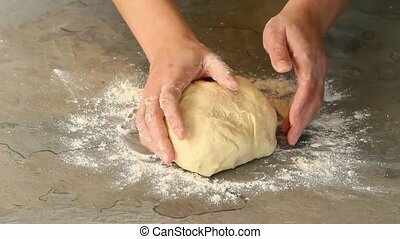 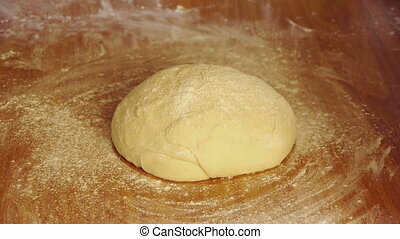 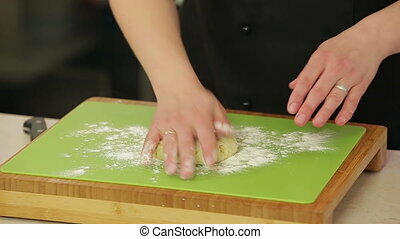 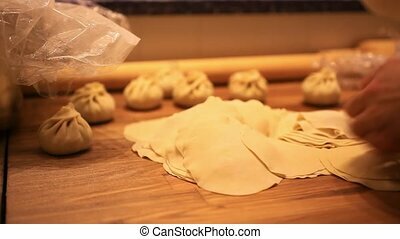 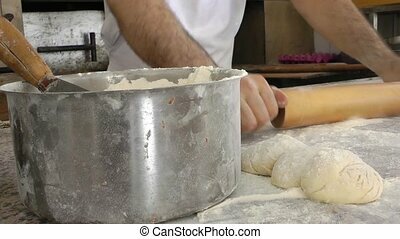 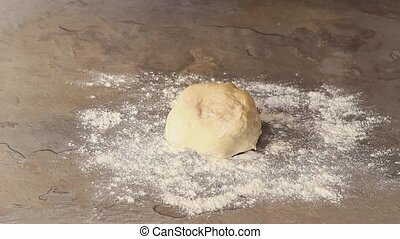 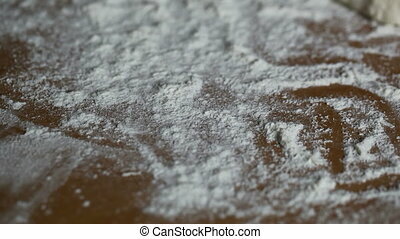 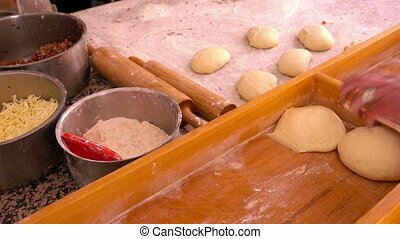 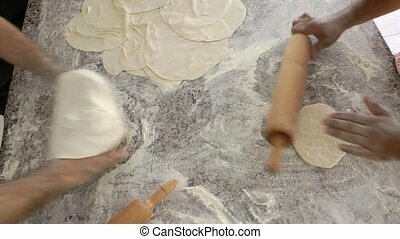 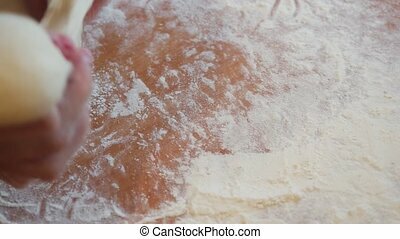 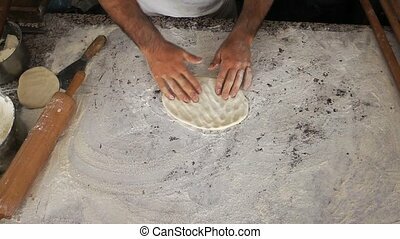 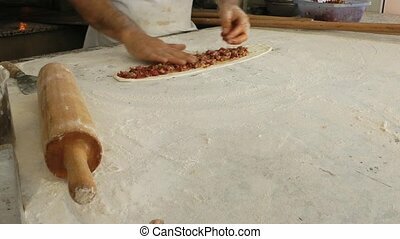 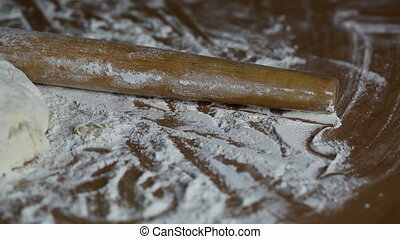 male chefs hands preparing dough with rolling pin for asian food on wooden board at kitchen counter in bakery.